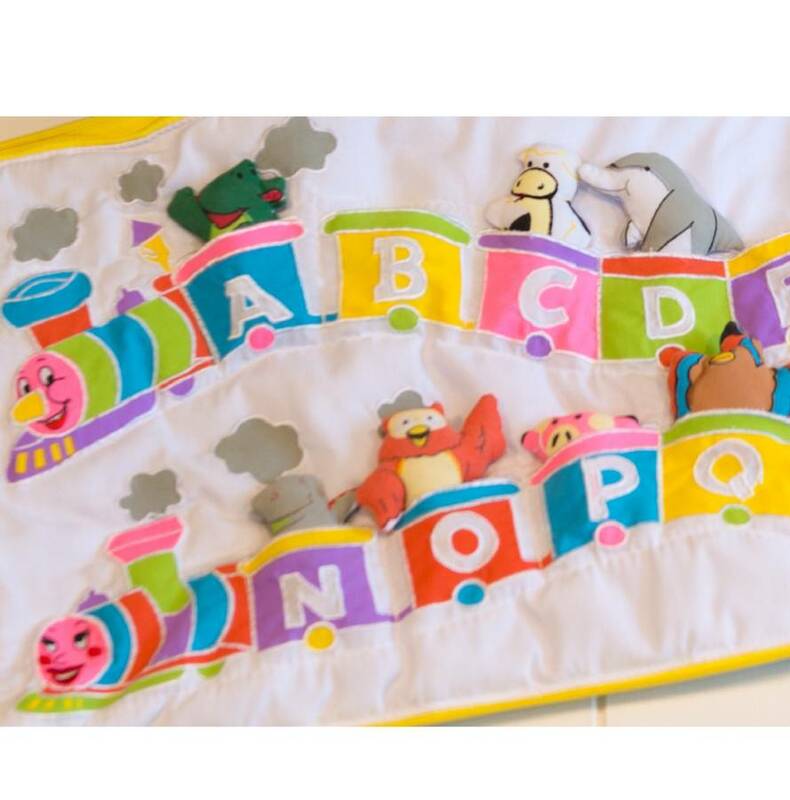 A beautifully embroidered alphabet toy with 26 hand-made soft toys that sit in each pocket of the train helping children learn their ABC. 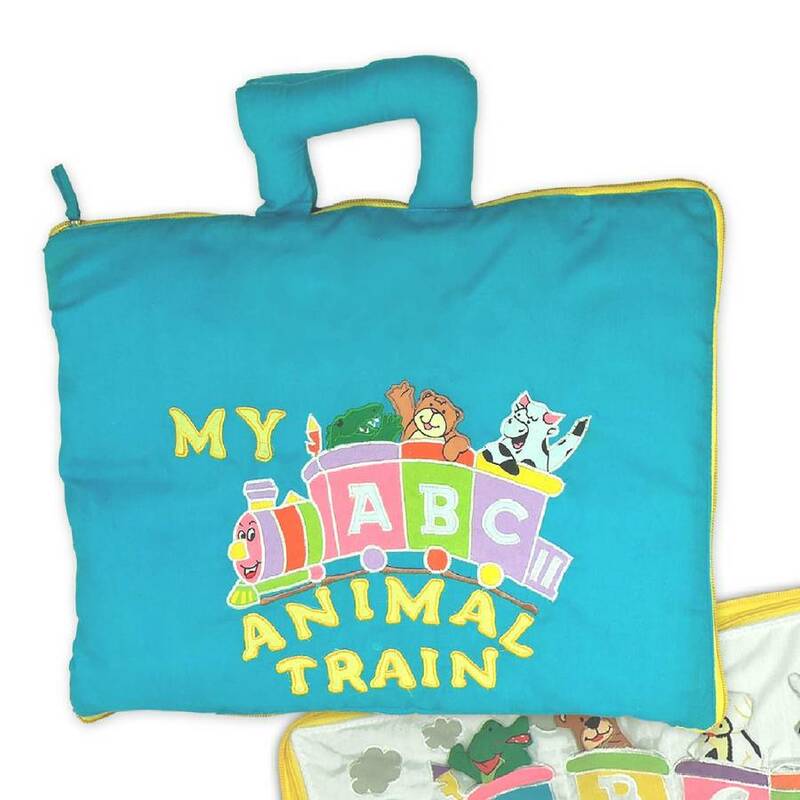 This creative and popular fabric travel bag unzips to reveal an alphabet train filled with animals from A to Z! Children learn their ABC's as they play with 26 adorable animals. Each soft toy animal has a corresponding letter on the back. 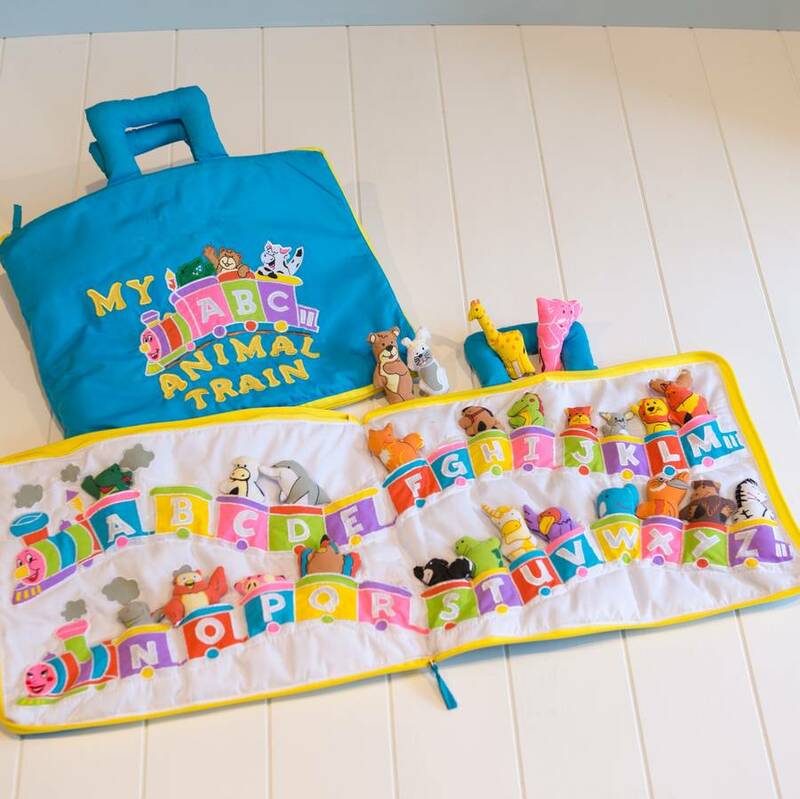 Ideal for playing in the car, taking on holiday or using in the home, everything zips up in to the bag keeping the animals safe. Finish off your purchase with our gift wrapping service and we will ensure that your child’s gift is beautifully presented from you. 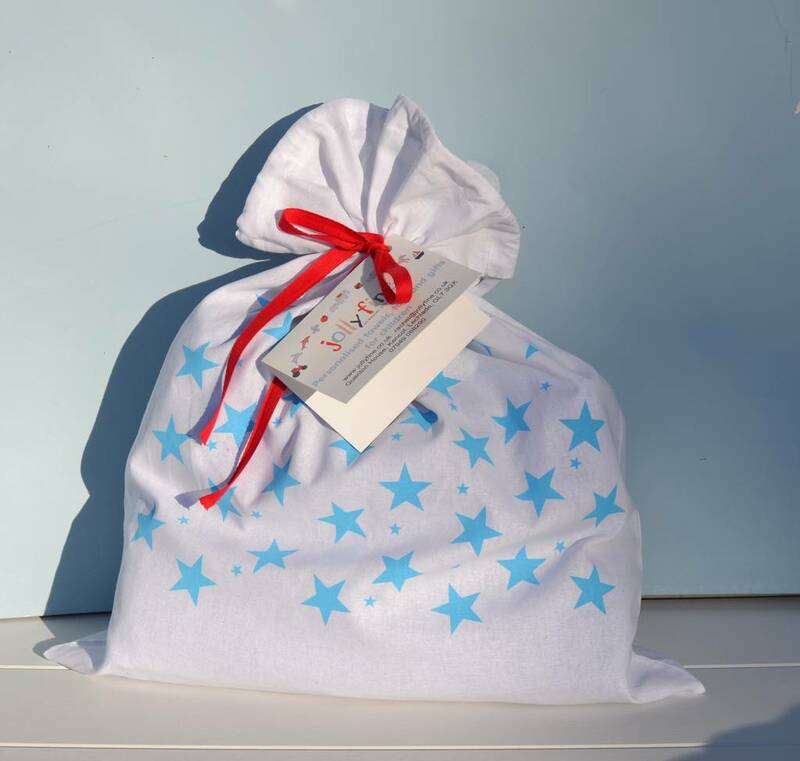 Instead of using paper we use a reuseable fun star print cotton drawstring bag to wrap our products in. Made from cotton. Wash with damp sponge.